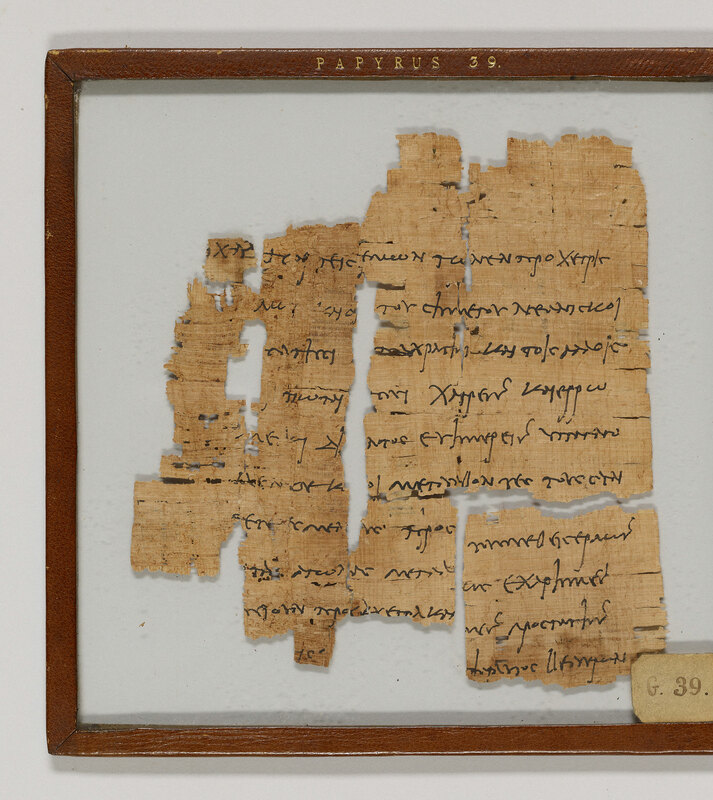 Home > Amherst Greek Papyrus 39. 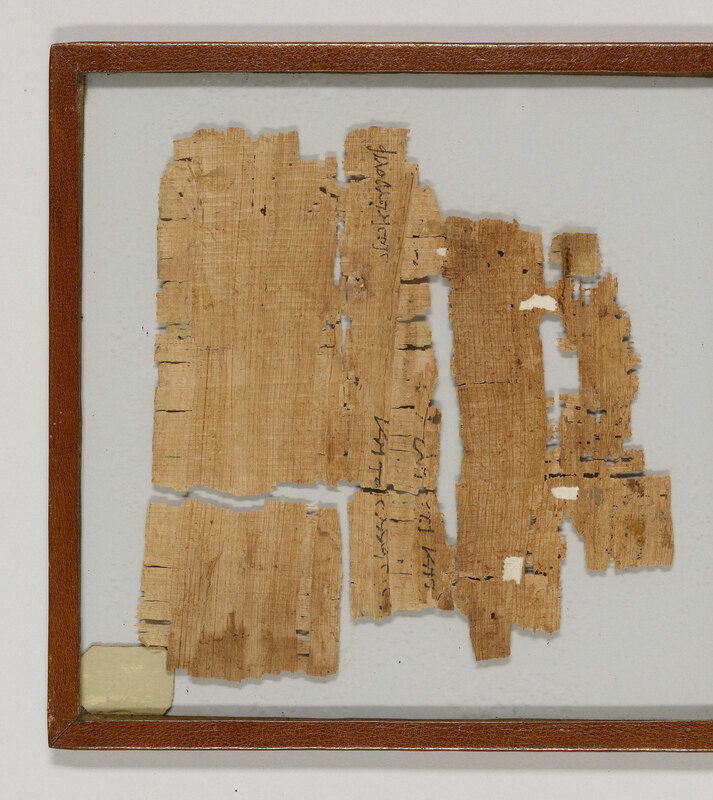 1 pane of glass containing 2 papyrus fragments ; 6.5 x 6.5 in. ; 2 x 2.5 in.